In the last few decades, Science was considered the best as it implied one was intelligent. Commerce was next and only at the very end, it was Arts & Humanities for the dunces and idiots. 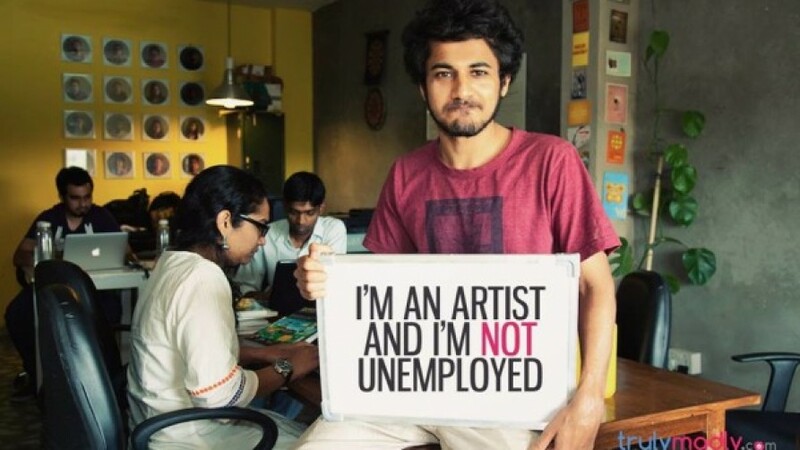 Even today in India, it’s a common belief that pursuing arts & humanities limits the careers options and is not beneficial monetarily. But, in today’s time of new-age careers, Humanities is gaining solid traction among employers and students. 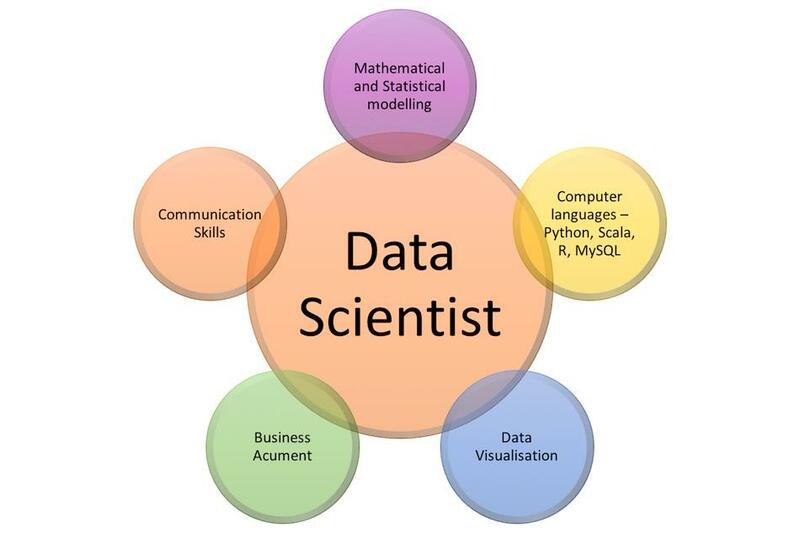 With the rapid technological disruption and digitization, job opportunities for STEM graduates (around artificial intelligence, analytics, and software) will obviously increase. But, that does not mean that job opportunities for humanities graduates are going to be obsolete. In fact, in the coming days, there will be more job opportunities for humanities graduates due to the technological disruptions due to artificial intelligence and digital transformation. Let’s see how. In terms of subject areas, the field of Humanities is consists of core and sub-disciplines like arts, linguistics, liberal arts, fine arts, social sciences, performing arts, cultural and ethnic studies. 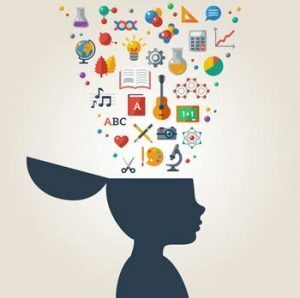 The focus is on developing communication skills, logical thinking, mathematical abilities, interpersonal and problem-solving skills, the ability to do research and enhance creativity. Humanities graduates may worry that they lack the edge on others who have developed ‘hard’ skills in subjects such as science, technology, engineering and maths (Stem). But, your humanities degree is a perfect springboard into a successful career. We will look into the new-age career opportunities of humanities that are driven by technological disruptions. However, we will look into the traditional options first. This is something that automatically comes to the mind of humanities graduates. Possibly the most obvious job for a humanities major is teaching. It’s a profession that uses most of the skills you’ve learned, from close reading to verbal communication. You’ll have to use these abilities to create lesson plans, edit papers, work well with others and be able to keep authority in a leadership role. Graduates can get into teaching in Schools, Colleges, and Universities. Opportunities to undertake research work are also there. In India, generous funds and fellowships are offered by various bodies such as UGC, ICSSR, NCERT, HRD, and ICMR to the students for research in post PG or Ph.D. Programs. Literature, History, Music, languages, and Anthropology all are the fields that students can opt for their innovation and excellence in the desired field of study. Besides tenured professors, there are several different professional roles within the higher education sector that contribute towards the overall success of the institution and the courses it offers. Humanities graduates can work directly with undergraduate or graduate students, internally on processes or communications, with academic colleagues, or even with external business leaders to achieve funding or garner support for your institution and course. Additionally, you could also take up the role of a guidance counselor or academic counselor. Journalists are the are critical thinkers who can access, synthesize, and retain factual information logically and systematically. They are good communicators who have an intuitive understanding of storytelling. The career path of journalism also demands immense self-motivation and persistence in order to establish the best available or obtainable version of the truth, and then to verify those facts. Hence, this is a perfect career path for the humanities graduates. The Advertising and Public Relations industry focuses on the relationship between a product/service and the public. You can also consider it as a sub-domain of the marketing domain. Advertising is the art of conveying a message to the masses. Advertising is one of the key functions of any industry that ensures the industry’s competitiveness in the corporate world. Public Relation (PR) is a management function involving monitoring and evaluating public attitudes and maintaining mutual relations and understanding between an organization and its public (shareholders, government, consumers, employees and the media). Its first objective is to improve channels of communication and establish new ways of setting up a two-way flow of information and understanding. PR management is fast becoming a lucrative career option in times of global competition to market product, service, and facilities private as well as government companies and organizations. Writing is a niche skill and in most cases, writers identify their interest from an early age. 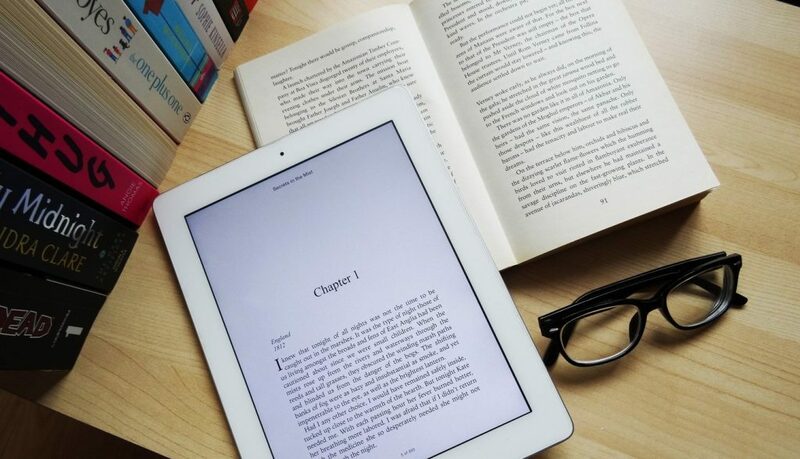 With digitization, writing is fast emerging as a profitable career option with an array of opportunities to choose from. As well as a high level of English skills, humanities graduates also hold valuable experience working with tight deadlines, initiative and self-reliance, and reliability to complete complex tasks with minimal supervision. Marketing firms are looking for creative graduates, with an eye for detail and strong analytical skills. It’s a highly sought-after sector for graduates, but with the ever-changing digital landscape, there are always new opportunities in large organizations and small high-growth firms. If you possess the core skills along with being digitally minded, this could be the career for you. As with marketing, communication and interpersonal skills need to be strong in sales, because you’ll be working with clients directly. You’ll also need critical thinking skills to persuade customers to buy your product. One benefit of sales is that it’s often a high-paying field. Additionally, there are few career paths that are specific to certain specializations. 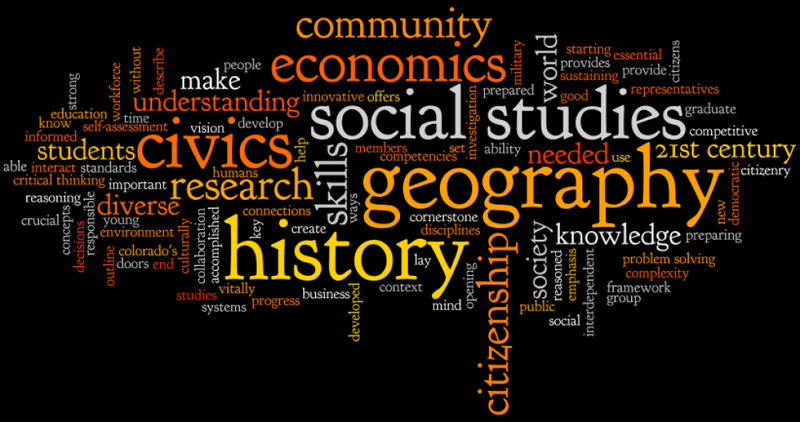 For instance, Geography majors can get into Cartography, Surveying, Urban & Regional Planning, or Remote Sensing. Whereas, Anthropology majors can find job opportunities within Museums & Heritage Properties, NGOs, and organizations like ASI, UNESCO etc. In the last few years, technological disruption has been creating more job opportunities for the humanities graduates. For many employers, a good humanities degree is a testament to your hard work, enthusiasm, creativity, and ability to process lots of information. Therefore, Humanities & Liberal Arts are becoming one of the most sought streams among high school students. At any tech company, developers and coders make approximately 15 – 25% of the workforce. Hence, humanities graduates can easily take up the remaining job positions. Sales teams need to understand human relationships. Marketing teams have to understand what gets people excited and why. Internally, our HR teams need to know how to build a community and culture so the company can continue to thrive. Why Tech Companies Need Humanities Graduates? In a technology company, the “making” part is relatively easy, provided the core tech team is a solid one. It is the “figuring out what people want” part that is harder. People will never embrace your product if you don’t understand their motivations and needs — what excites them or annoys them to tears. When building a marketing campaign, you have to predict how a massive number of people will react and behave based on snippets of information you’ve collected. This level of qualitative analysis can’t come from the data alone; it requires instinct, critical thinking and a deeply contextual understanding of human nature. According to strategy consultant, Christian Madsbjerg, humanities aren’t a luxury – they are your competitive advantage in the algorithmic age. Christian worked with companies such as such as Ford, Adidas, and Chanel. Based on his experience, it is not just algorithms that will drive future success, but a renewed focus on the contribution of the humanities. His book, Sensemaking: What Makes Human Intelligence Essential in the Age of the Algorithm argues that organizations should use approaches based not only on hard data and natural science but also art, music, theatre, dance, languages, and politics. 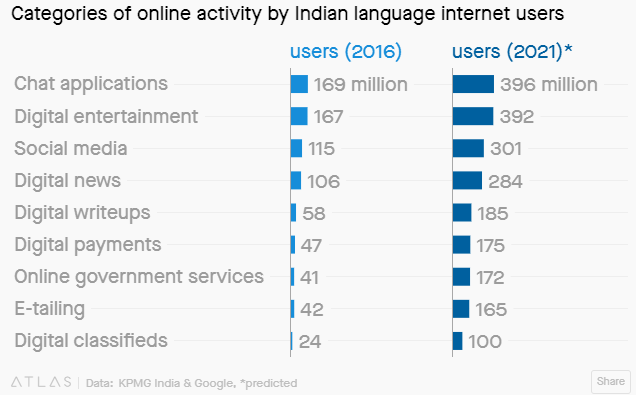 Nearly seven in ten Indians prefer (or have more faith) digital content in their local language. In order to effectively tackle today’s biggest social and technological challenges, we need to think critically about their human context—something humanities graduates happen to be well trained to do. The STEM-only mindset cannot take companies and startups too far – both in terms of geographical expansion and scale up. Scaling up is not possible if a company hires only technology & engineering specialists. In order to solve large-scale human problems, companies and startups need humanities graduates. With the rapid internet penetration in India due to the startup boom and digitization, the job prospects of humanities graduates in India is expected to be very bright. We all know about Google, the Tech Giant. But, what we might don’t know that a significant majority of Google employees hold degrees in Humanities, Linguistics, Literature, Arts, Psychology, Sociology, Philosophy etc. For Google, Soft Skills (Project Oxygen) and Emotional Intelligence (Project Aristotle) are more important than the hard skills. 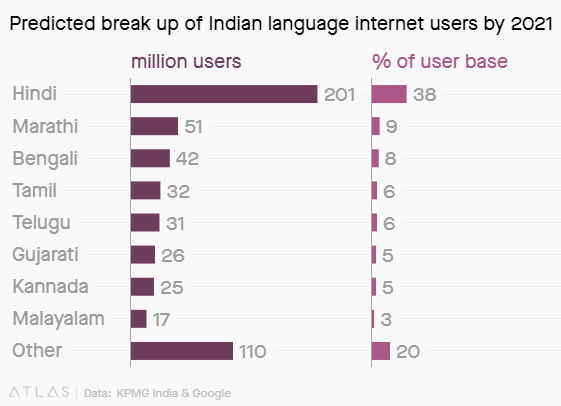 Google Translate now includes more than 100 languages (103 to be exact). Google claims that this means the service, which started in April 2006, covers 99% of the online population. Do you think the Google Translate product works only because of coders and engineers? To provide this service, Google needs more Linguistics and Foreign Language majors than techies. So, it’s time to say goodbye to the age-old beliefs that humanities degrees can get you a high-paying job. STEM education is definitely good, provided you have got the interest and you possess the right skill set. However, don’t assume that all the high-paying jobs belong to STEM graduates only. 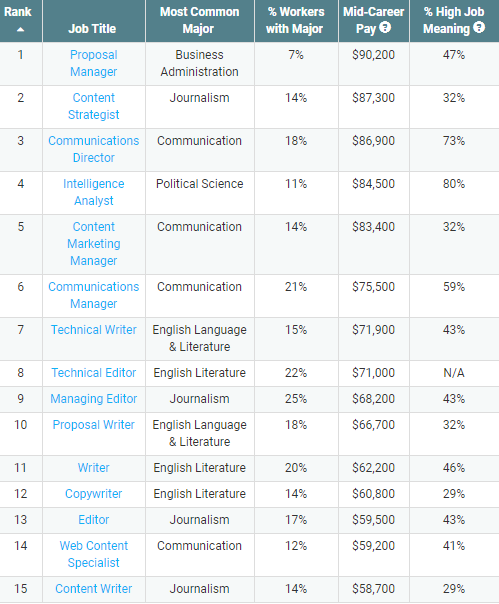 At the same time, don’t assume that a humanities degree will guarantee you a job. Of course, a higher degree is the pre-requisite. If you have a Masters or Ph.D. degree from a foreign university, the career prospects are even brighter. But, don’t underestimate the other key components of employability – skills, and experience. 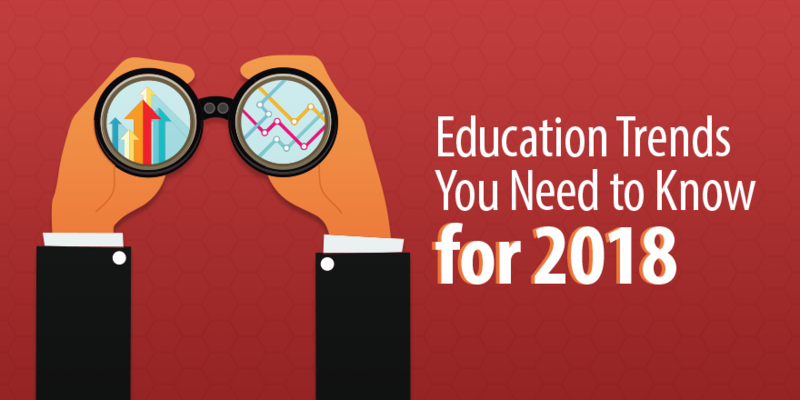 As a humanities graduate, you should look at acquiring new skills and upgrading the tech skills, even if that’s just through continuing education, online learning, or some serious YouTubing. You must always look to widen your education and interests. If you have got excellent skills in writing with a creative flair, why just limit yourself to writing only. Explore the areas of graphic design, web design, UX/UI design, social media, and digital marketing. In today’s skill-based economy, the barriers to entry for core technical roles are also dropping. Many tasks that once required specialized training can now be done with simple tools and the internet. For example, as a humanities graduate, you can get a project off the ground by learning the basics through online courses, with chunks of code from GitHub and help from Stack Overflow. STEM subjects are ‘structured’ with right and wrong answers to problems. In contrast, the arts and humanities are largely ‘unstructured’ subjects; there is typically no right and wrong. 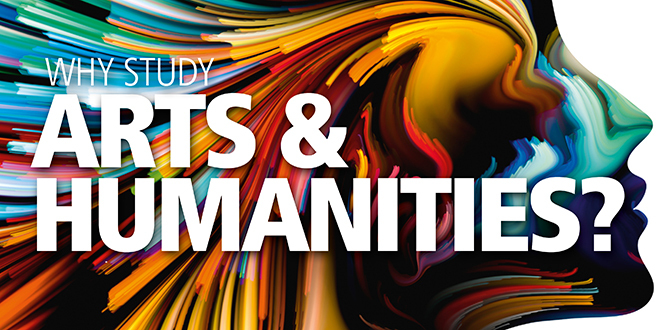 Arts and humanities give context to the world we operate in day to day. 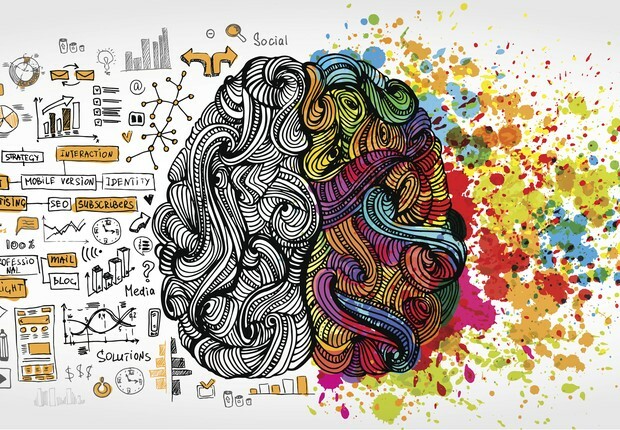 Critical thinking skills, deeper understanding of the world around us, philosophy, ethics, communication, and creativity offer different approaches to problems posed by technology. So, now the question arises – Do Engineering Students Need the Humanities? Read this article. Artificial Intelligence (AI) development is reliant on engineering and science, but in order to create a product that is going to be a first touch point with customers, art and creativity, and understanding of communications – is just as important. You need that ‘human touch’ to instill the AI with a semblance of personality, the companies brand values and message, in order to truly give an authentic experience to customers. Language and communication will be cornerstones of AI in the future. Here is a great piece on Teaching Artificial Intelligence and Humanity. In a few blue-chip technology companies like Apple, IBM, Microsoft, Amazon, Netflix, and Google, the software, UI, and UX designers come from the fine-arts backgrounds. Those roles require coding skills. But, so is an understanding of usability — in other words, the uniquely human ability to draw upon experience to design an elegant solution that real people will actually find helpful. Within a few years, if you use a company’s web chat option for customer service, you will likely be interacting with AI in the form of a trained, intelligent chatbot. Conversational design, a new field that is quickly developing as more companies use AI, involves creating, training, testing and improving AI. Strong writing, a key component of most humanities degrees, is a large part of intelligent bot development, especially the ability to write in a natural, conversational form. This not only creates bots that communicate clearly but makes them seem more human, which makes them appealing to customers. A creative background also allows bot writers to develop distinct “personalities” that match the tone of the company each bot will work for. A chatbot for a bank or security company, for example, would need a professional and reassuring personality, while a bot used by a home startup could have a more casual, friendly personality. Several pundits believe automation, robotics, machine learning, and AI will continue to transform industry, retail, and transportation. These technological disruptions will take away the human jobs. Whether AI will absorb work in fields like translation, surgery, law, accounting and finance remain the work of prophecy. At this stage, as students, you need to focus on widening your education, interests, and skillsets. Develop deep reading skills. Treat it like marathon running. Read the great works of culture. Treat it as conversation. There is a lot of value in doing the philosophical work to understand just what our methodologies and assumptions are, and how they shape how we view problems and ask and answer questions about the world. One of the best ways to help students develop sensitivities for methodologies is to have them study a single topic, like climate change, or renewable energy, from multiple disciplinary perspectives. The interdisciplinary (or cross-disciplinary) nature of Arts & Humanities is essential for technological success. Are the Liberal Arts Degrees Useless? Top 3 Humanities Careers you should know about!